The Lagos State Police Command has uncovered a shrine at Ayegbami quarters in Imosan axis of Ijebu-Ode, Ogun state, where the suspected Badoo cult members take oath before going on operations, reports ITRealms. 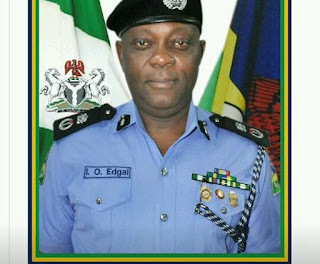 Affirming this, the Lagos State Commissioner of Police, CP Edgal Imohimi, said the shrine was discovered in joint operations by the Command, Special Anti-Robbery Squad (SARS) and the Lagos State task force based on arrest of some suspected Badoo cult members. The dreaded cult group, he said, was arrested while trying to escape through the waterways. According to him, one of the suspects gave a clue to the shrine location where the suspects come to take an oath before going on operation. In a swift reaction, the owner of the shrine, Fatai Adebayo, 34 years, admitted owning the place but said the piece of stone discovered is for grinding pepper. However, Adebayo’s mother, Toyin Ogunyemi who was also at the scene, said her son was not a ritual killer but only prescribes healing drugs to the needy. Meanwhile, His Royal Highness, the Olumosan, Chief Tajudeen Adekunle Muili condemned the existence of such a shrine in his domain and ordered immediate destruction, whereas applauding the security agencies.